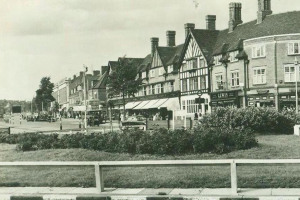 This TYS project will give Old Oak Common Lane's shopping parade a makeover bringing back some of the 1930s glamour, providing local residents with an attractive high street that they can be proud of. The shopping parade along Old Oak Common Lane has seen better days. It is home to a vibrant community and has some amazing buildings along its stretch dating back to the 1930’s. We want to create a town centre (East Acton village) and provide local residents with an attractive high street that they can be proud of. We want to clean up the streets, install new street paving, trees and furniture that is consistent, make the shop fronts more attractive and do some fun and exciting things such as have monthly market, creating artistic solutions to the flank wall along the high street and turn some of the empty properties into ‘pop up’ shops. We also want to set up an East Acton village traders' association that can unite businesses from both the Ealing and Hammersmith side of the road to oversee the new town centre and work to improve the area. We have a great opportunity to do something amazing with a space that would really benefit from some well-deserved investment and redevelopment. 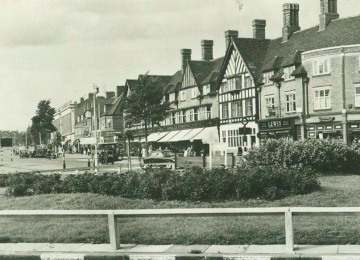 Unlike many other areas in Ealing, East Acton doesn’t have a proper high street, a place where residents can shop, meet friends, have a bite to eat or just sit back and watch the world go by. 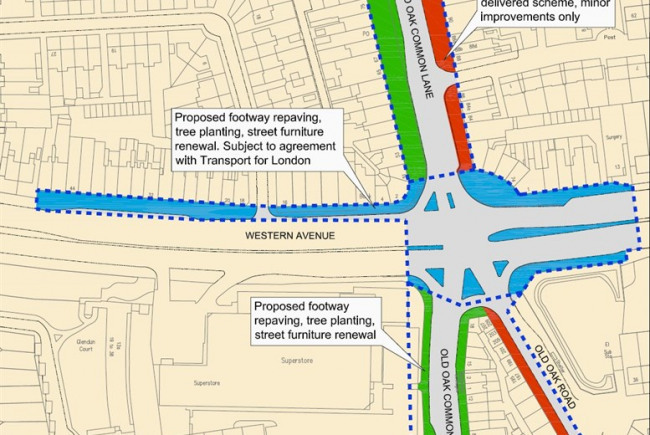 The area is car dominated, run down and sits between two London boroughs leading to a mis-match of street furniture. 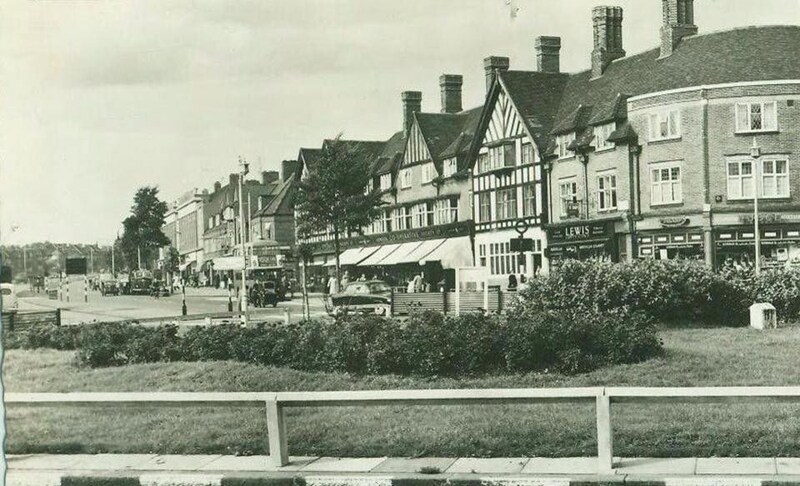 We want to create East Acton village, a vibrant shopping area which attracts people from all over the borough as well as meeting the needs of local residents. The Old Oak Common Lane parade has a small selection of independent and mainstream shops, and some empty units. This area is in real need of re-development, public realm improvements and identity. The new traders' association will be able to work with the council to make much needed improvements to way the shopping parage is managed in the future and lead on activities and events in the area, including a market. The Council officers involved in this project already have a proven track record of delivering pop-up shops, lighting, shop front improvements, markets, street improvements, project management and procurement and therefore will be best placed to help in the delivery of East Acton village. 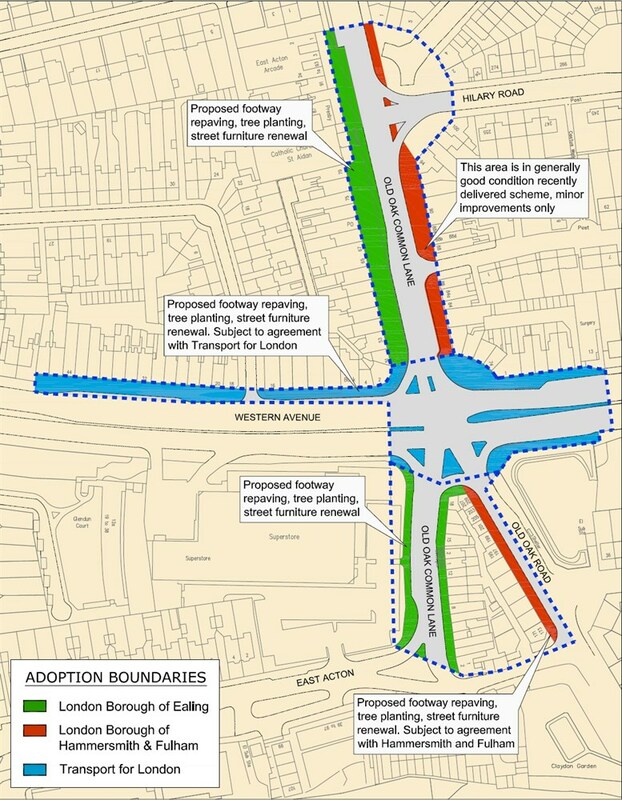 Initial indicators from the East Acton Partnership's consultation with residents and businesses indicates a strong demand for a town centre in the East Acton ward. 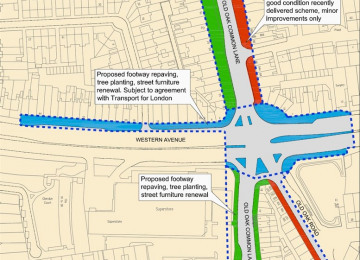 The London Borough of Hammersmith and Fulham and Transport for London will be consulted with and hopefully partner this scheme which will benefit all parties involved. Support will also be sought from the local residents, such as the Golf Links estate residents, to help maintain the area. Benches, bins and a noticeboard has already received local funding and will complement this project. The East Acton Partnership brings together a range of different local stakeholders and service delivery agencies working in East Acton to make improvements to the area.